I love going to garden shows and visiting beautiful public gardens, historic or modern, I take inspiration from things I see and the way people have devised planting schemes. I know many of you also love visiting these wonderful gardens and I am often told by friends and clients that unless they have such huge gardens they just cannot see how to apply any of the lovely things they see in their own garden. So how do you scale down for our much smaller plots to make it more relevant to you don’t live in a mansion with acres and acres of gardens like the Rothschild’s House and Garden at Exbury in Hampshire above? Well here are a few tips to get you thinking about what you want out of a garden and how to go about. A macro view is about looking at the garden as a whole. What feeling does it convey? Does it make you feel relaxed – does the garden invite you in and makes you want to walk through it at a leisurely pace? A winding path will do that with an interesting feature at the end of it, just enough that you can glimpse something you want to discover. 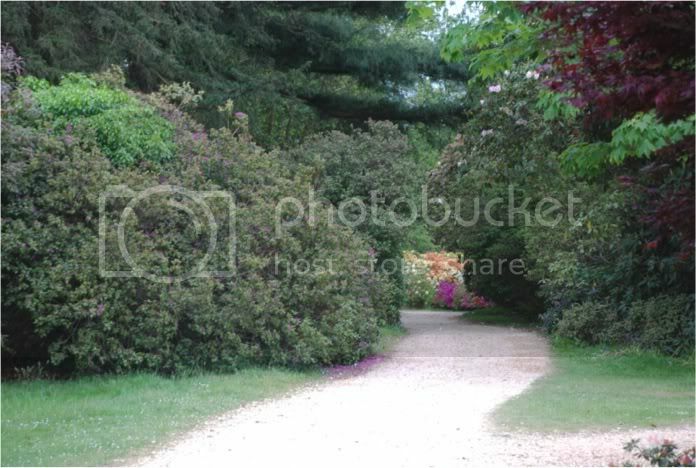 This can be a sculpture or even colourful plants like this below (Exbury garden again). **TIP: **Scaling this down would means a much smaller path in our “normal” sized gardens. Try paving it with interspersed lawn in between the slabs or scented and coloured thymes. The path then becomes a feature in itself. Does the garden make you feel alive? What I mean is, is it dynamic, is it full of colour and makes you smile? Granted the Exbury Azaleas and Rhododendrons might not be to everyone’s taste but it certainly gives a bit of a zing to an island bed! TIP: Scaling this down would mean using texture and colour to make a counter point to a garden (a point of interest). Choose a colour palette you like and don’t forget to have 3 heights! Ground level, waist height and the taller structures like trees behind, otherwise it would look flat and boring. Do you like neatness and geometry? Do you feel that this is what you need to have a garden that suits your lifestyle? 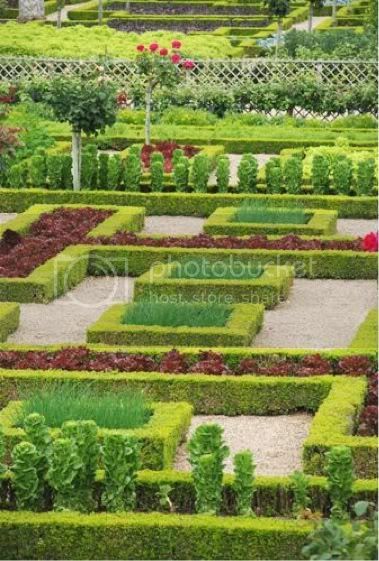 Then take inspiration from the parterre here at Villandry in France (see below). This is extreme geometry but again you need to think small. 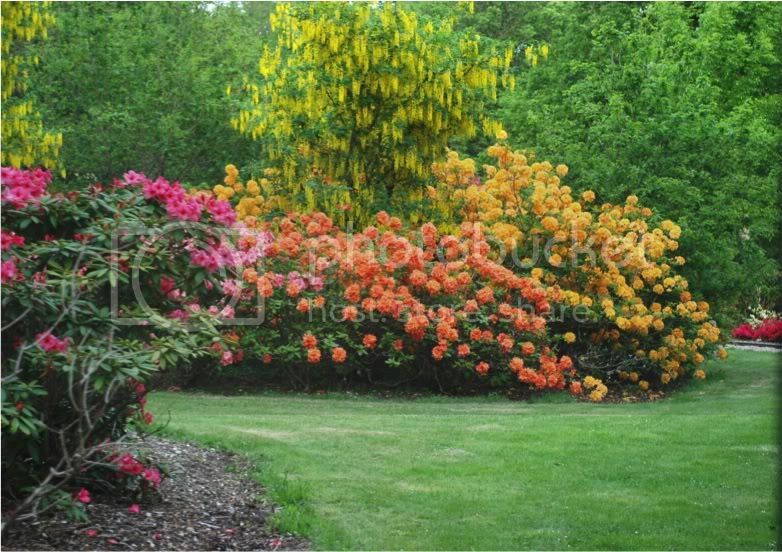 Small hedges enclosing colour or different textured plants with neat paths and a meticulous regime of maintenance is not accessible at this level to most people. So how can you re-arrange this to get the look? TIP: use hedging to contain more billowy plants like Verbena’s or grasses or herbs if you want to add gourmet flavours to your food! Use small sized gravel for paths (make sure at least 90cms wide for comfortable walk and wheelbarrow) or grass of course. Contrast colour, texture and again heights. Taller plants in the middle and slowly graduating down if you have a 4 square parterre. Or place taller plants at the back of the border with a few tall ones interspersed here and there to give interest and a less structured look. This is about adding elements to a garden that “furnish” it or “accessorise” it. 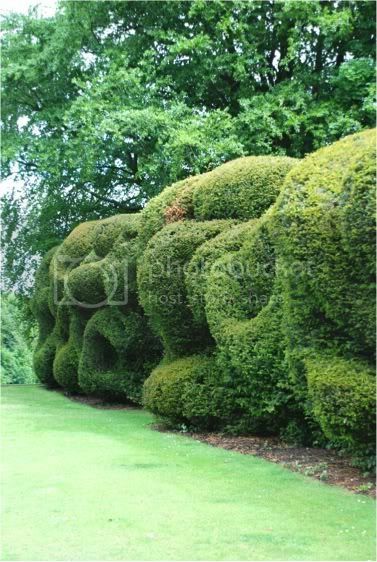 It needn’t just be about hard structures, as you can see below, the fabulous hedge at Hinton Ampner gardens is rather spectacular but would definitely struggle to integrate a “normal” sized plot! TIP: instead of fencing panels, use a mixed hedge of hazel, field maple, dog rose and hawthorn. This is good for wildlife, easy growing and fast and easy to look after. If you want a wavy look then hazel, yew, hornbeam and privet lend themselves to “wave-like” shaping – you can even put ribbon window holes in it once grown to make it look like a picture! How about a pond or a water feature? 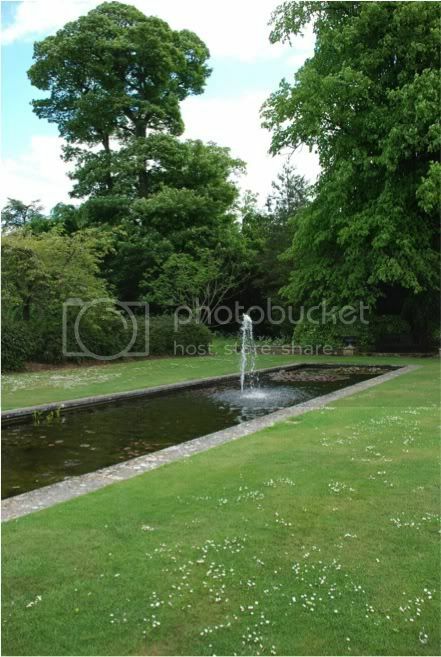 Again at Hinton Ampne, this is a sizeable feature and again not suited to smaller plots. But this is easy to adapt. TIP: Scale it right down and make a rill going along your garden. Use an old downpipe or a cast iron one if you can find it, bury it in the ground and have flowing water with a pump buried. If you have a larger plot then a pond that as smart as this can be built at say 2m in length by just under 1 metre. I wouldn’t add a jet feature like here at Hinton Ampner, but a gurgling low level one would be great. We also run Grow your own vegetables and fruit workshops and Interior Design classes.